Make sure to keep your negatives are clean and have no fingerprints, dust, dirt, lint or any other buildup on them. Sometimes getting finger prints or dust on your negatives in unavoidable but if it does happen make sure to clean your negatives carefully before you store them. It might also be helpful to purchase archival white lint-less nylon gloves to handle you film with and a can of dust off compressed air. After you have cleaned you negatives you’ll want to protect them. After you have cleaned your negatives you’ll want to protect them. Use only archival negative preservers. Other plastic sleeves may be made with materials that could harm your negatives. Some plastic sleeves have a glossy surface and could stick to your negative or cause ferrotyping, which is a kind of glazing which causes density variations during the printing process. Archival quality contains no PVC and are safe for long term storage. Since all photographic films contain gelatin as a principle ingredient it is important that negatives stored long term must be kept in low temperatures. 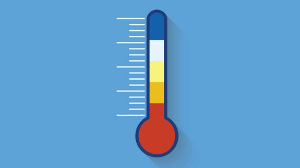 The ideal temperature should be between 35F and 55F with a humidity level between 30 and 35 percent. If the humidity falls below 25% your negatives are at risk of becoming brittle and the emulsion cracking. If the humidity is above 60% mold or fungus could form on your negatives. High temperatures and humidity can effect processed negatives. You can also you a dehumidifier or any other ways of reducing the humidity. Protecting your negatives from light. Most manufactures sell paper or plastic enclosure and storage boxes designed for film formats. When deciding on what box or enclosure make sure the materials it is made from is archival meaning that it passed the Photographic Activity Test (PAT). The PAT determines if a storage material will cause fading or staining. College Series: You've gradauted, Now what? What do all those paper terms mean?